While mining and combustion of lignite impose high burdens on the environment, Europe’s least expensive fuel remains impervious to climate policies or market trends. 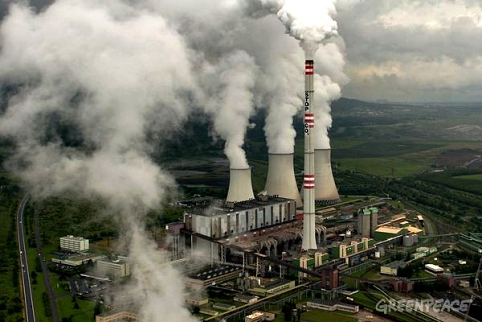 Poland remains committed to lignite power generation. In Germany, the world’s largest lignite industry provides backup electricity for nuclear phase-out and renewable power intermittency. Mediterranean sunshine has not kept Greece and Turkey from relying on lignite rather than imported gas. According to energy expert Jeffrey Michel, the intended withdrawal of Vattenfall from Eastern German lignite mining may offer a new opportunity to at least reduce Europe’s dependence on lignite somewhat, if Germany agrees to a deal with Poland or the Czech Republic about acquiring Vattenfall’s assets. Lignite, or brown coal, is a low-quality carbonaceous fuel in geological transition from peat to hard coal. Vast deposits accessible to surface mining are located in the German Rhineland, Central Europe, the eastern Mediterranean region, Australia, Russia, and the United States. Lignite is often uneconomical for transport to distant power stations, since over half the railway hopper cars effectively carry water and impurities instead of combustible material (see box at the end of the article). Mined lignite is instead preferably delivered directly by conveyor belt to nearby power plants at a cost of less than €6 per MWh (megawatt-hour) of thermal energy. At a typical plant efficiency of 40%, lignite’s power generation costs amount to about €15 per MWh. This makes lignite Europe’s least expensive fuel for electricity and industrial heat. Even aged, low-efficiency lignite plants provide a cost advantage of €20/MWh over coal power and €60/MWh compared with older gas-fired installations, according to the German Öko-Institut. 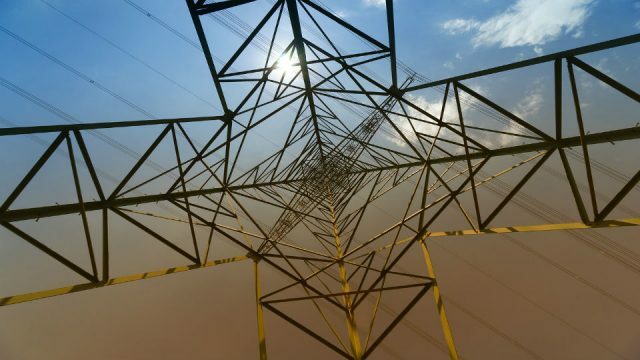 The low price of lignite is important, for, as Vattenfall CEO Tuomo Hatakka recently noted, at current wholesale electricity prices of €35/MWh, it remains “hard to make ends meet” for power generators in Europe. Due to its comfortable level of risk, lignite power generation in the past had been wastefully irresponsive to changing grid conditions. The power stations were simply run day and night to generate baseload power regardless of demand. Because of recent profit declines and competition from wind and solar power, however, many plants are now being reconfigured for load-matching performance. Lignite is frequently spurned as a “dirty” fuel. Yet although lignite emits up to 24% more carbon dioxide than hard coal per MWh, it is devoid of methane because of the high water content and only moderate pressure of geological formations. Lignite’s specific contribution to global warming may therefore be no higher than a coal or gas process chain. Moisture evaporation during combustion also lowers firebox temperatures, precluding the need for nitrogen oxide (NOx) smokestack filters. Flue gas sulphur dioxide (SO2) is routinely eliminated by limestone scrubbers, producing gypsum as an output product for building construction. Since only about a billion tonnes (Gt) of lignite are burned each year, lignite contributes about 3% to current global CO2 emissions. It is exaggerated therefore to single it out as a “climate killer”. Nevertheless, lignite usage does materially impede EU climate policy. While comprising 11.7% of primary energy consumption in Germany, for instance, lignite is responsible for over 22% of the country’s carbon dioxide emissions. The German government apparently intends to gradually reduce coal and lignite usage. A decision on this is expected in a cabinet meeting on December 3rd. At the same time, lignite power expansion plans in Poland and other countries may countervail overall EU efforts to reduce greenhouse gas emissions in the power sector. In anticipation of future greenhouse gas regulations, the lignite industry originally supported carbon capture and storage (CCS) for reducing plant emissions. In 2006, German chancellor Angela Merkel named Vattenfall CEO Lars Josefsson as her personal climate advisor due to his advocacy of this technology. 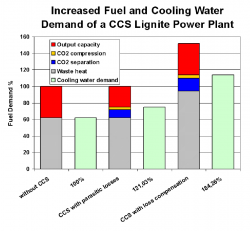 A German parliamentary hearing on June 6, 2011, however, showed that CO2-free lignite power generation could require 50% more fuel and over 80% more cooling water for the same grid power output. The additional high capital expenditures required for CO2 pipelines to the North Sea precluded any prospect of commercially viable geological storage. Moreover, lignite usage has other negative environmental impacts in addition to greenhouse gas emissions. Due to the low thermal value of lignite, immense quantities must be extracted for power plant operations. In Germany alone, lignite surface mining constitutes an earthmoving task equivalent to excavating the 1869 Suez Canal 16 times per year. Productive farmland and residential communities are transformed into desolate lunar landscapes by gargantuan shovel-wheel and steel bridge excavators, some exceeding the scale of the 10,100 tonne Eiffel Tower. Water withdrawal disrupts hydrological balances for centuries in a subterranean funnel ranging far beyond the pit excavation boundaries. In the mining aftermath, groundwater levels gradually ascend to fracture building foundations and masonry, roadwork and sewerage. Re-deposited soil is often too unstable for building construction, but remains suitable for agriculture and solar farms. Pulpwood woodlands and acidified pumped groundwater lakes (as low as pH 2.5) characterize many former lignite mining sites. 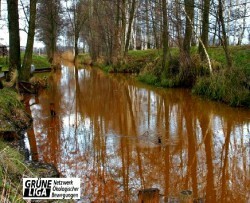 In the German Lusatian aquatic biotope region near Poland, iron hydroxide precipitate drainage has transformed pristine waterways into murky brown channels detrimental to natural aquatic life and tourism. Fossil fuels contain mercury and other toxic metals deposited by prehistoric volcanic activity. Burning three times the amount, lignite per MWh in comparison with hard coal releases a proportionately high amount of contaminants. Without the Mercury and Air Toxics Standards (MATS) enacted in the United States for flue gases, a large European lignite power station may emit a half-tonne of mercury per year in compounds not captured by dust filters. All 50 U.S. states have issued health advisories on the threats of mercury contamination from fish consumption, particularly for pregnant women, nursing mothers, and children. In European lignite regions, by contrast, far higher mercury levels from power plants may be present in mining drainage lakes open to fishing and recreation. A recent study has shown that only one of Germany’s 34 coal and 16 lignite power plants fulfills U.S. standards on effluent mercury concentrations. Despite the growing economic risks of climate change, lignite continues to provide energy security even in regions availed of abundant solar and wind resources. 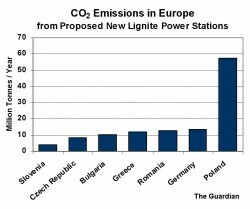 On the basis of population, Greece burns more lignite than any other county in the world – over six tonnes per inhabitant. Turkey is currently planning dozens of additional coal and lignite plants to reduce dependency on Russian gas imports. An 8,000 MW lignite power station in the Afsin-Elbistan mining region may be erected with Chinese financing. The plant would be nearly equivalent to the total capacity of all four Vattenfall lignite power stations in eastern Germany. Germany leads the world in lignite production, with 183 million tonnes mined in 2013 for electricity, municipal heating services, and the chemical, cement, and sugar beet industries. 167 million tonnes of CO2 were emitted from generating 161 billion kWh of electrical power, one fourth of total German power generation. Renewable energies contributed another 24.6% to grid supplies, but remained insufficient to compensate for the nuclear power phase-out begun in 2011. Lignite usage instead increased by 8% during the same period to a half-million tonnes per day. The German government’s intention to reduce CO2 emissions by 40% between 1990 and 2020 can scarcely be realised on present coal and lignite trajectories. Two proposed mine expansions at Nochten and Welzow near the Polish border would require the resettlement of 2,500 residents from traditional Lusatian communities fated for destruction. Future projects could impact over 4,000 additional inhabitants in this region. A potential 349 million tonne MIBRAG mining site at Lützen would deface the landscape near the city of Leipzig and include the devastation of up to nine additional settlements. In the western Rhineland, however, the RWE Garzweiler II mine was recently rezoned to protect the homesteads of 1,400 inhabitants. Domestic lignite deposits in Poland would be adequate for another two to three centuries of power generation. With only limited reserves of gas and oil, the Polish Ministry of Economy has noted that “lignite coal has to be perceived as the stabilising factor for Poland’s energy safety”. Low predictable mining costs have in fact made lignite “Poland’s raison d’état” in the view of Zbigniew Bryja at ZE PAK, the country’s second-largest lignite power corporation. In the Czech Republic, lignite extraction in Northern Bohemia was limited in 1991 to existing licensed boundaries by Parliamentary Resolution 444. Despite mining termination foreseen after 2022, however, the state energy corporation ČEZ modernized its lignite power plant at Prunéřov for operation until 2040. ČEZ also bought the eastern German MIBRAG mining corporation in 2009 to facilitate trans-border lignite deliveries. After ČEZ sold MIBRAG to the Czech consortium EPH, lignite has been transported from Germany to plants at Opatovice east of Prague and Komořany in the industrial city of Most. Recent communal elections in Northern Bohemia have confirmed widespread opposition to extended local mining. In further contrast with Germany, the Czech Mining Act was revised in 2012 to prohibit expropriations of private property to maximise lignite extraction. 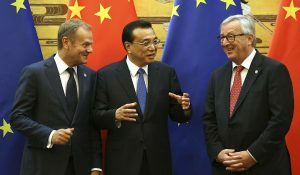 After sulphur dioxide emissions responsible for acid rain were reduced in the 1990’s, lignite power appeared less objectionable despite contradictions with EU climate policy. However, the mines are now increasingly surrounded by wind and solar farms, providing alternative zero-carbon generation for the power grid. In theory, such capacities could be expanded in progressive steps to eliminate lignite usage altogether. BUND, the German section of Friends of the Earth, considers this goal attainable by 2030. A total of 46% of grid supplies in 2010 (lignite 24%, nuclear 22%) would have to be substituted above the 17% of renewable generation already available in Germany at that time. In such a case, transmission networks must be capable of dispatching all of the energy provided by fluctuating renewable generation. Since grid expansion in Germany affects many more individual interests than nuclear power retirement, however, it has been met with considerable legal challenges. The need for new cross-country transmission corridors is fundamentally questioned by the advocates of decentralised power technologies. Southern Germany is in a particularly difficult position. By 2023, a supply deficit of 105 TWh – one sixth of total national power generation – has been predicted by the Bundesnetzagentur grid authority for this region. Bavarian communities are nevertheless opposed to unsightly transmission lines for importing CO2-intensive lignite power from eastern Germany. They would prefer to see local renewable power supplemented by gas generation plants. As a result of the ongoing inconsistencies between established coal and lignite generation, the debate around the long-distance transmission of renewable power, and strategies of local supply independence, the final configuration of Germany’s national electrical grid cannot be predicted. This diminished investment security in Germany has led other European countries to decide not to follow the German Energiewende example and opt for new lignite power plants instead. According to Greenpeace data, the realisation of all planned European lignite power stations could account for more than 118 million tonnes of additional carbon dioxide per year. Since the combustion of one tonne of lignite emits about one tonne of CO2, the current global emissions from lignite of approximately 1 Gt would be increased by around 11%. 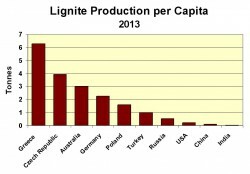 This figure does not account for expanded lignite usage in Turkey. 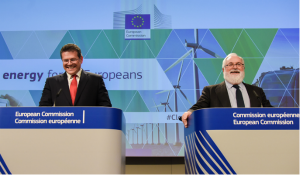 There is perhaps one glimmer of hope for EU climate policy. After the new Swedish coalition government announced its intention to eliminate lignite mining expansion of the state-owned corporation Vattenfall AB, the company declared on October 30th that it was “investigating options for its German lignite mining and generation activities”. 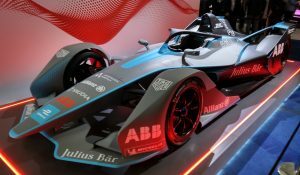 CEO Magnus Hall dispelled speculations about an immediate withdrawal, noting that Vattenfall recognised “the current and future importance of lignite-based generation for the local economy and the German energy policy”. A “close dialogue” was pledged with the federal states of Brandenburg and Saxony as “key stakeholders for Vattenfall’s activities in the Lusatia region”. While an eastern German state corporation might be formed to take over the mines and power plants, there are other options that could be considered, such as direct acquisition by Poland. Delivering power from three Lusatian plants instead of expanding Polish lignite generation might effectively reduce total CO2 emissions in the EU by up to 53 million tonnes annually, eliminating a major obstacle to future climate policy. In Lusatia itself, a local lignite-free Energiewende could be pursued. As a second alternative, the Brandenburg newspaper Lausitzer Rundschau reported on November 5th that MIBRAG owner EPH was interested in taking over Vattenfall’s German lignite operations. In this event, Lusatian lignite could be delivered across the border to certain Czech power plants. Reducing mining in Northern Bohemia would promote a transition to alternative energies. At the same time, Vattenfall could use some income from the sale of its lignite assets to implement renewable energy ventures in Germany’s interest. The company is already erecting 80 North Sea wind turbines at DanTysk west of the Danish-German border. The generation of 1.3 TWh per year is adequate for meeting the electricity needs of the Bavarian capital of Munich. The city’s utility company Stadtwerke München is a 49% project partner. 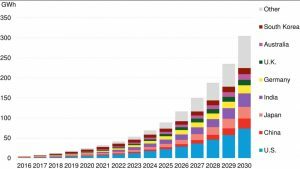 To be sure, many more energy transition projects would be required to limit the progress of climate change. 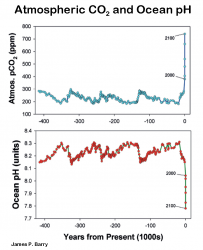 CO2-induced ocean acidification is already causing pH values in seawater to decline 100 times more rapidly than at any time over the last 300 million years. The resulting loss of marine life could reach disastrous proportions by mid-century, disrupting fish protein supplies for billions of people. There is no way to avert this prospect except by drastically reducing fossil fuel emissions to a level that can be compensated by the natural environment, since the process of ocean acidification would otherwise be irreversible. Jeffrey H. Michel (Jeffrey.michel@gmx.net) is an independent energy consultant and author based in Hamburg, Germany. 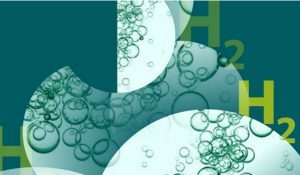 A graduate from MIT in the US, he has published extensively on the problems facing Carbon Capture Storage (CCS), see for example his report for the Air Pollution and Climate Secretariat in Sweden,Lost Hopes for CCS, and this article on Energy Post: CCS: Why the high hopes cannot be fulfilled. For Energy Post, he also wrote an in-depth analysis of the German Energiewende (Can Germany Survive the Energiewende? ), an article on a coal power plant project in Hamburg, and recently an analysis of German lignite policy. Before lignite mining begins, ground water is pumped out from the seams. The residual moisture content of the fuel is nevertheless almost double the weight of inherent carbon, which at combustion is transformed to about three times the mass of carbon dioxide. 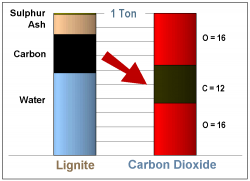 The tonnage ratio of crude lignite to CO2 is therefore roughly 1:1. High-quality hard coal, by contrast, delivers three times the heat but also emits around three times the greenhouse gases per tonne, including mine face methane. Useful article, thanks. It’s difficult to put together all the pieces in this picture by just reading newspaper stories. Exactly what I need to use with my AP Enviro students! Yes, this is a really interesting and useful article. I do read German media a great deal, but the explanations given above are very clear. I think it is very important to do the “real ground work” before writing articles on energy issues, and this article is a clear illustration of this. Thank you very much! Germany has chosen lignite over nuclear; neither is renewable. Entire villages are destroyed in the process as they are in the way of the vast open cut coal mines either re opened or begun, to the dismay of locals who thought the end of communism meant the end of filthy air and water. How this squares with vaunted human rights preaching beats me. In Romania despite the gold mine disaster of 2000 new mines loom, though public protests have stopped one for now. One assumes these new mines will gobble up lignite produced electricity. Thanks for this honest appraisal, a relief after all the cant. Im Jahre 2014 wurden 1,1 Million Tonnen Rohbraunkohle aus dem mitteldeutschen Raum sowie zusätzlich 140.000 Tonnen Briketts nach Tschechien exportiert. Die Brikettproduktion findet in Deuben statt, doch die dazu verwendete Braunkohle stammt aus dem Rheinland wegen des wesentlich niedrigen Schwefelgehalts. Die MIBRAG hatte bereits im Jahre 2013 einen Braunkohleliefervertrag bis Ende 2016 nach Nordböhmen abgeschlossen. Die Transportkosten lassen sich ausreichend genau beziffern, um die langfristige Wettbewerbsfähigkeit abzuschätzen. Die tschechische Regierung hat inzwischen den Umweltverbänden einen Kompromissvorschlag unterbreitet, wonach die meisten Bergbaugrenzen aus dem Jahre 1991 aufrechterhalten werden sollen, solange es keinen Widerstand gegen den weiteren Ausbau der Kernenergienutzung gibt. Das würde aber wiederum bedeuten, dass in Zukunft doch mehr Braunkohle aus Deutschland importiert werden könnte. Excellent and very informative article! Congratulations to the Energy Post and Mr. Jeffrey Michel!